Murlidhar Meghwal, PhD, is a distinguished researcher, engineer, teacher, and consultant. He is currently Assistant Professor in the Department of Food Science and Technology at the National Institute of Food Technology Entrepreneurship and Management, Kundli, Haryana, India. He was formerly a professor at the Centre for Incubation, Innovation, Research and Consultancy (CIIRC) at the Jyothy Institute of Technology, Bengaluru, India. 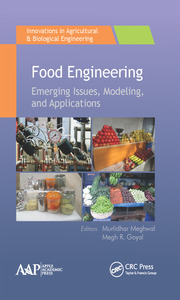 Dr. Meghwal is currently working on the characterization of instant coffee powder; development of nutrient and fiber rich functional cookies from fruit fibers residues; developing inexpensive, disposable, and biodegradable food containers using agricultural wastes; and quality improvement, quality attribute optimization, and freeze-drying of milk. 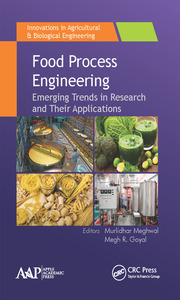 He has authored or edited six books in the field of food technology, food science, food engineering, dairy technology, and food process engineering and has published many research papers. He is a reviewer and an editorial board member of several journals. He has attended many national and international workshops, seminars, and conferences. Dr. Meghwal received his BTech degree in Agricultural Engineering from the College of Agricultural Engineering Bapatla, Acharya N. G. Ranga Agricultural University, Hyderabad, India. He received his MTech. 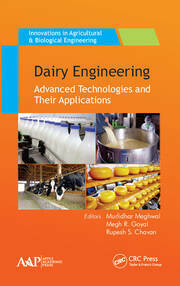 degree in Dairy and Food Engineering from the Indian Institute of Technology Kharagpur, West Bengal, India; and his PhD degree in Food Process Engineering from the Indian Institute of Technology Kharagpur. 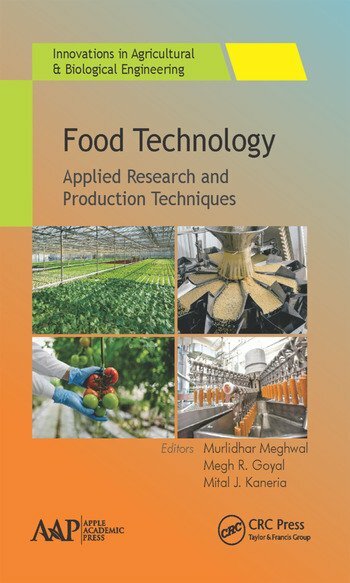 Dr. Meghwal was actively involved in establishing the Food Technology Program (MTech.) at the Centre for Emerging Technologies at Jain University, Bengaluru, and he acted as course coordinator, placement in-charge, and head. He earlier worked as a research associate at INDUS Kolkata (a rice parboiling, milling, and processing company) in the eastern part of the India on the development of a quicker and industrial-level parboiling system for paddy and rice milling. He is recipient of several scholarship, fellowships, and an award from the President of India. Megh R. Goyal, PhD, PE, is a Retired Professor in Agricultural and Biomedical Engineering from the General Engineering Department in the College of Engineering at University of Puerto Rico–Mayaguez Campus; and Senior Acquisitions Editor and Senior Technical Editor-in-Chief in Agriculture and Biomedical Engineering for Apple Academic Press Inc. He has worked as a Soil Conservation Inspector and as a Research Assistant at Haryana Agricultural University and Ohio State University. He was the first agricultural engineer to receive the professional license in Agricultural Engineering in 1986 from the College of Engineers and Surveyors of Puerto Rico. On September 16, 2005, he was proclaimed as "Father of Irrigation Engineering in Puerto Rico for the twentieth century" by the ASABE, Puerto Rico Section, for his pioneering work on micro irrigation, evapotranspiration, agroclimatology, and soil and water engineering. During his professional career of 45 years, he has received many prestigious awards. A prolific author and editor, he has written more than 200 journal articles and textbooks and has edited over 25 books. Mital J. Kaneria, PhD, is presently working as Assistant Professor in the Department of Biosciences, Saurashtra University, Rajkot, India. He formerly worked as a research associate at GUIDE (Gujarat Institute of Desert Ecology), Bhuj-Kachchh, India, in the terrestrial ecology division on the study of floral diversity, mangrove monitoring, herbarium preparation, and soil-water analytical parameters. He has published more than 40 research papers in national and international journals and has also written book chapters and books. He is a reviewer and editorial board member of many journals, has attended and presented several papers in several national and international seminars, and conferences and has received best paper awards. His current research involves isolation and characterization of bioactive phyto-constituents focused on in vitro and in vivo antimicrobial, antioxidant, and pharmacological activities of medicinal plants, particularly in relation to safety profiling, ageing, and various acute and chronic diseases and disorders.